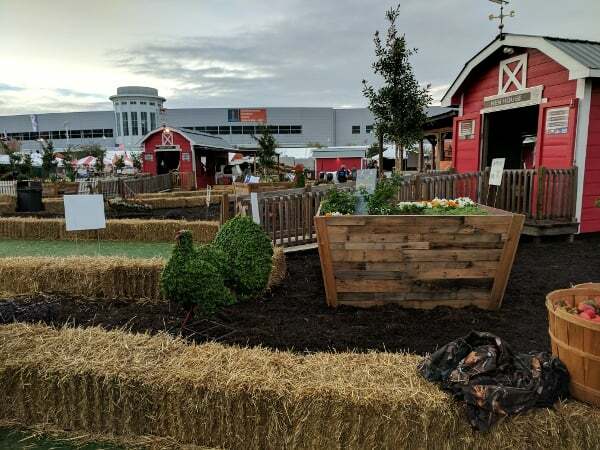 Home»All»Important Dates, Tips & Tricks for Rodeo Houston 2019! Houston is already buzzing with Rodeo Houston excitement! This free event is at City Hall. Here you can grab a free lunch, dance to live music, take photos with a Texas Longhorn steer, hear the Mayor’s Go Texan Day proclamation and learn about your Rodeo’s contributions to the community. The public is invited to the Bar-B-Que Contest and can go the carnival and get complimentary sliced brisket, beans and chips. Admission is $20 for adults or $5 for kids 3-12 years old. Admission is included with the season pass (so if you plan to visit the grounds multiple times during the season, get the season pass instead). All trail rides make their way to Memorial Park. The routes are HERE! Go Texan Day is the unofficial kickoff of the Houston Livestock Show and Rodeo. Residents are encouraged to wear Western attire, such as jeans, cowboy boots, and cowboy hats. Decorative floats intermingle with thousands of men and women on horseback to fill the streets with hoof beats and marching bands. Run for a cause! Proceeds from the event benefit the Houston Livestock Show and Rodeo. The Rodeo and Livestock Show is open daily, February 25 through March 17, 2019. Each year, we buy the general admission season pass and go every morning. Right at 8:00am we tour the Livestock Show, watch the chicks hatch from their eggs and get to see everything before the crowds arrive. At 9:00am, the petting zoo and rabbit house opens and at 10:00am we head to Fun on the Farm. By the time the field trips and crowds are at Rodeo Houston, we’re heading home for naps. And some days we bring the big kids back after school. Here’s what you need to know if you plan to go to the Rodeo Houston this year. General Admission is $15 for adults, $5 for kids, free for kids under 2 years old. If you have a concert ticket, you do not need a general admission ticket (so do NOT buy both). Since we go each day, we buy the general admission season pass. This year it is $35 (up from $25 a couple of years ago). Note that this also gets you daily admission to World’s Championship Bar-B-Que Contest (before the Rodeo/Livestock show). This does not get you into the concert. On Wednesdays, called Family Wednesdays, there is free general admission for seniors, 60 and over, and children, 12 and under. You can also enjoy $2 rides and games from 11 a.m. to 4 p.m., along with a $2 food or drink item at select food stands in the Junction Carnival. Parking lots are around $20… so we take METRORail. It is only $1.25 for anyone older than 5 and it drops you off right at the rodeo ticket booth. Parking is available up and down the tracks. We park in the museum district. 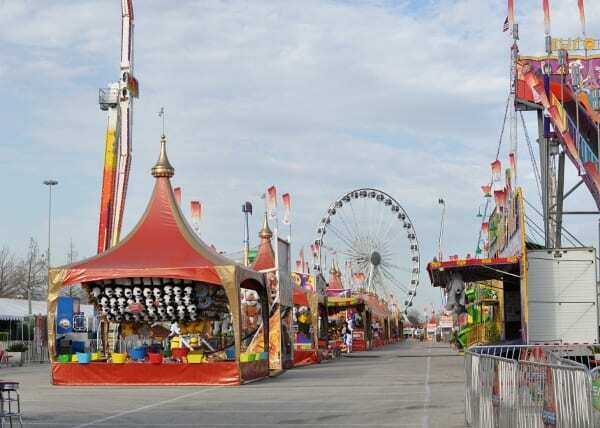 Kids Country opens at 9:00am, Fun on the Farm opens at 10:00am and the carnival opens at 10:00/11:00am, but AgVenture has a lot to do at 8:00am. While the rodeo is waking up, the vendors and shops are still getting ready for the day and the field trips are still preparing to take over the park, we have some room to run around the birthing center, rabbits, bees and ant hill. We can see the baby chicks poking out of their eggs and the baby pigs sleeping. Stars Over Texas Stage – All day you can catch kid friendly shows under the tent. There are sing-alongs, animal acts and more. We saw our first sloth here! Kids Pedal Tractor Pull – Kids ages 4 to 12 years old compete in a pedal-powered tractor pull. The tractors and pulling sleds are built for fun. Petting Zoo -Feeding the animals costs a few dollars… but the petting zoo is free! If you go early in the morning, you will probably have the space to yourself. Pig Races – Watch the piglets race around a 150 foot track. Livestock Show – Walk through the rows of cows in the back of the NRG Center or sit and watch the competitions! Horse Show – On the opposite side of NRG Park, away from the Kids Carnival, is the Horse Arena. This is sort of a secret spot at the rodeo because most people are on the other side of the park. The NRG Arena has shopping, stalls of horses to walk through and a competition to watch. AGventure Honeybees – Walk through a hive and watch honey bees! AGventure Milking Parlor – See where milk comes from! AGventure Tour of Texas – Take a tour of Texas… all inside NRG Center. It’s like a mini-museum inside the Rodeo Houston! AGventure Baby Chicks and Chickens -See chicks hatch, see the newborns and the big chickens. You can also watch a video on how eggs get to market! AGventure Birthing Center – See the newborn babies at the rodeo! Many are just a few days old! And all of AGventure… including the We’re Small Y’All Barn, Collector Cards, Sunflower Planting and more! On Family Wednesdays, you can also enjoy $2 rides and games from 11 a.m. to 4 p.m., along with a $2 food or drink item at select food stands in the Junction Carnival. Outside food is not allowed into the stadium for the concert… but it is allowed on the grounds. We bring in snacks and water each day (and I’ve confirmed with the PR team that this is allowed). The catch is… each year I get reports from people saying food was not allowed. I think that the security guards were confused… but still… be safe and just bring in a little food so you won’t be sad to throw it out. No outside food is allowed in the stadium. Even if you buy BBQ at the Rodeo, you need to finish it before going to the stadium. Weekday rodeos start at 6:45 p.m. The entertainer takes the stage at approximately 2 hours later. Weekend rodeos start at 3:45 p.m. The entertainer takes the stage at approximately 2 hours later.